Puerto Rico tends to fly under the radar. Most of us realize it’s a US territory, but what we may not recognize is what a convenient, easy, exciting destination it is from most of the contiguous United States. If you’re looking for an easy, breezy Caribbean destination to jet away to, read on. I’ve been to Jamaica. I’ve traveled internationally. Sometimes you just want to get a new flavor. Travel within the states is great for its ease, but what about when you want a total change of pace? Puerto Rico provides the perfect destination for a quick trip with both beach and historical opportunities. And the food? Let’s just say it is 1000% worth the flight. 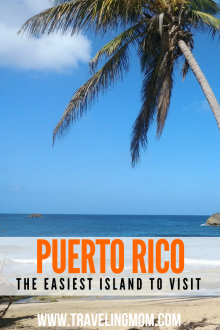 Travel to Puerto Rico is easy. If you’re flying from the United States to Puerto Rico, there is no need for a passport. Since Puerto Rico is a US territory, your driver’s license will work for the flight. So if you are looking for a beach vacation with no passport, look no further. If you don’t have a passport, it will save you at least the $145 passport application and processing fee per person. That’s considerable savings – and you’ll get the Caribbean experience. Flying in is a cinch. More than 4 million passengers pass through Luis Munoz Marin International Airport in San Juan Puerto Rico annually (on 5 major airlines). 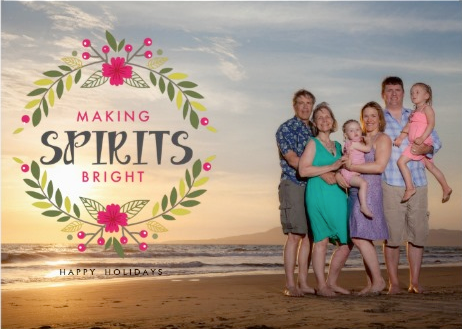 Family friendly airlines JetBlue and Southwest both fly to San Juan Puerto Rico. As the capital city, San Juan is a great starting point for your Puerto Rican vacation. You’ll wind up three miles outside of the main part of the city but Uber and other transportation options are abundant. Car rental is super simple in Puerto Rico. Since Puerto Rico is a US territory, renting a car there is just as simple as stateside. Your US drivers license can be used to rent a car in Puerto Rico. No international drivers permit needed! The basic rules of the road remain the same and you drive on the right side of the road (win!). That being said you may need to up your defensive driving game a bit. If your car insurance covers rental cars there is a big chance you’ll be covered in Puerto Rico (of course you should double check with your respective carrier). Prices are in line with US airport prices and of course go up when there is high demand. If you plan to rent a car in Puerto Rico I highly recommend doing it at the airport. In some cities renting a car in the city center will save you money and time. San Juan is not one of those cities. 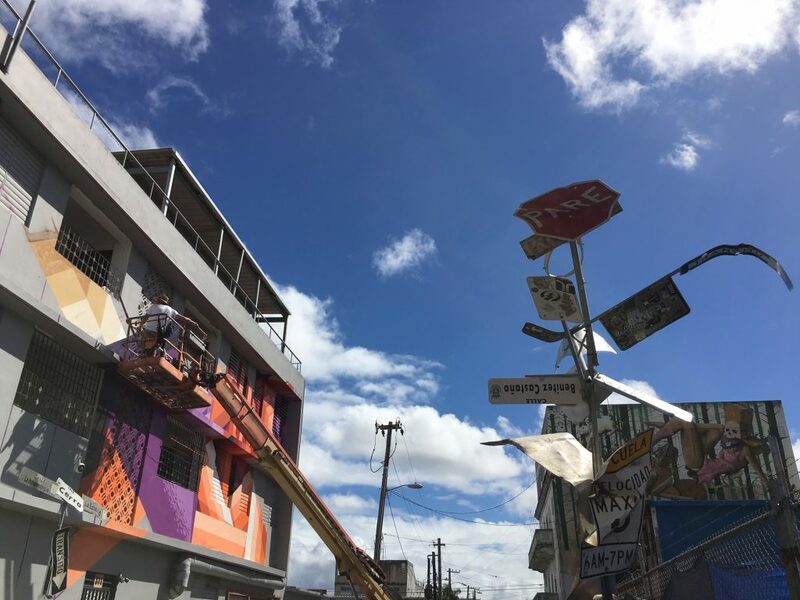 Plan to just stay local to San Juan Puerto Rico? Don’t rent a car. Uber and walking will get you everywhere you need to go. Puerto Rican food is incredible. Before visiting Puerto Rico, I mistakenly thought the cultural background was Spanish. I mean their official languages are Spanish and English, so I assumed. Well, I was wrong. Puerto Ricans possess an incredibly unique racial makeup that is considered to be 1/3 Spanish, 1/3 African and 1/3 indigenous Taino Indian. This means that the food (and the culture) is a rich blend of ethnicities with influences from many regions. Tostones (plantain fritters), alcupurrias (yucca and plantain fritters filled with ground beef), mofongo (an African dish updated with plantains), coquito (a coconut drink similar to eggnog), and pitorro (a moonshine that can pass 100 proof!) are all on the menu. After Hurricane Maria there was a resurgence in San Juan of new restaurants opening. If anything, the Puerto Rican food scene has only improved. Not sure where to start? Contact Spoon Food Tours. I have been on many tours over the years, and hands down this was the most informative tour I have ever done. They lead all sorts of tours that involve eating your way around San Juan and beyond. The stories behind the food, the history of the island and the knowledge our tour guide Pablo had was incredible. There is no better person to eat Puerto Rican food with. You don’t want to spend vacation stuck on resort grounds. We see this way too often. People want to go relax in the Caribbean. They pick a resort and wind up spending their entire vacation there. Is that wrong? No. But if you want to adventure beyond the grounds of the resort, Puerto Rico is perfect for you. The island feels extremely safe. Many residents speak English. You can truly get out and experience the island and not just a strip of beach at a resort. For my visit, I was hosted by the Hyatt House in San Juan Puerto Rico. Hyatt House is an all suite hotel. Their setup contains a kitchenette and a nice sitting area. As a result it’s perfect for families. The location in San Juan was extremely convenient. It was an easy Uber ride from downtown and walkable to other sites. San Juan tends to be a nightlife city so I was happy to be located outside of the main area in the evening! Add in free breakfast and amenities including a gym and pool and I’ll get back on a plane right now. Puerto Rico abounds with natural wonders. 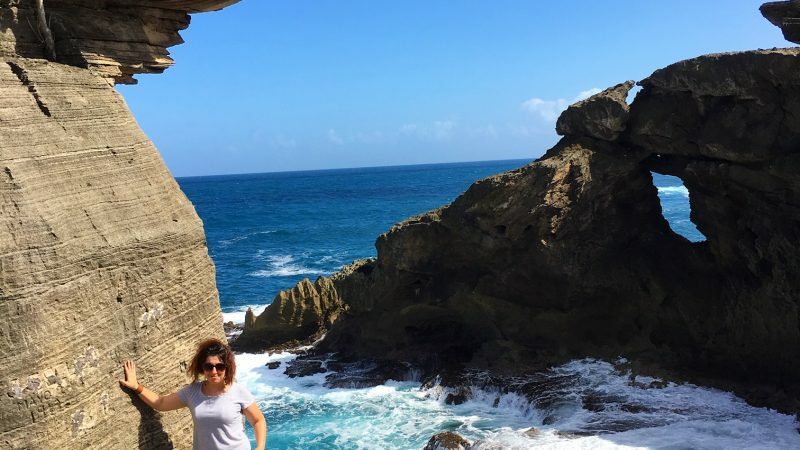 Puerto Rico’s natural formations are nothing short of breathtaking. We visited caves, beaches and more during my trip. The photographs paint a picture of the natural beauty of Puerto Rico. However, these trips will require a car ride from San Juan Puerto Rico. Luckily renting a car in Puerto Rico is simple. 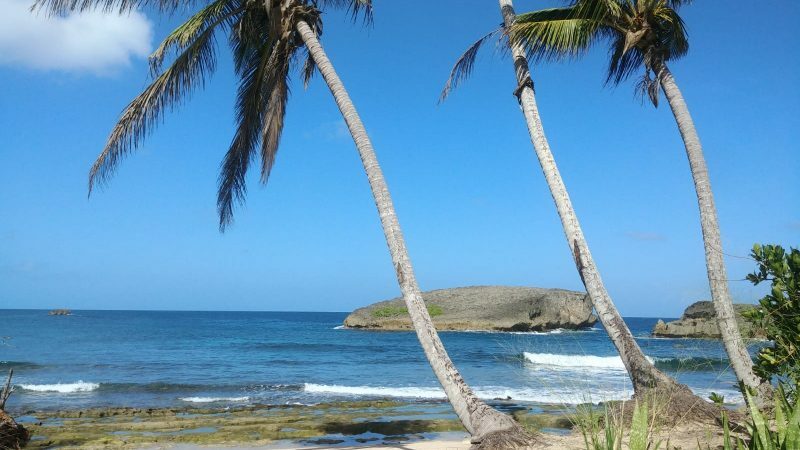 La Cuevo del Indio in Arecibo is an easy drive from San Juan Puerto Rico of just under an hour. Entry is $5 per person and you absolutely need to wear shoes with a rubber sole and no sandals. The rocks are rippled up almost like waves of lava dried and it is very sharp! Another easy drive is to Cueva Ventana. This one requires a guided tour (roughly $20) through a cave where you can see petroglyphs from Taino Indians. 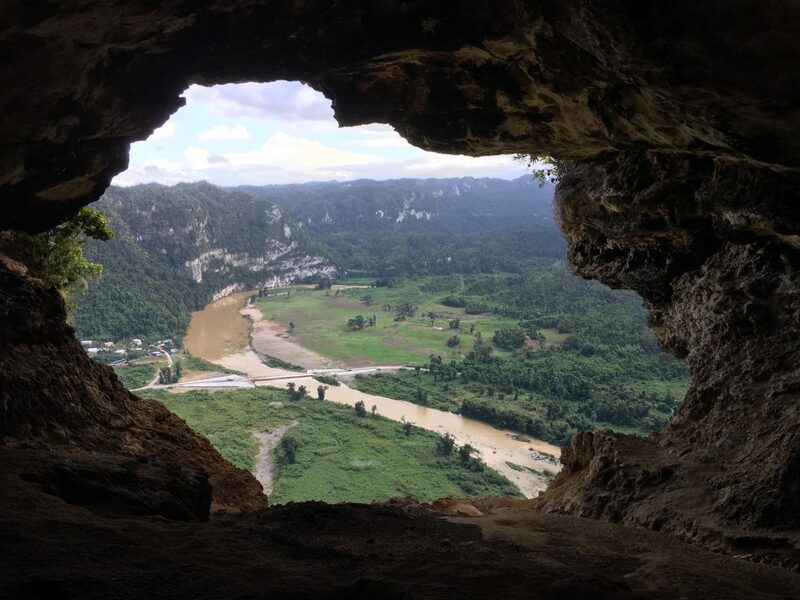 The view at the end is through a cave “window” (ventana). Bring some cash as there is a refreshment stand with agua frescas and other great options. 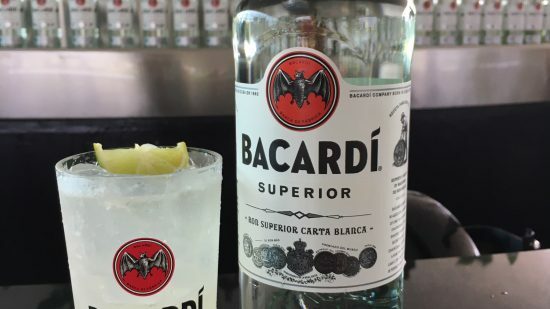 Cut loose and learn about rum with a visit to Casa Bacardi. With tour options ranging from tasting to mixology to bottling your own rum, Bacardi has something for everyone. We enjoyed a tasting tour where we were walked through proper technique. Besides the tasting, the best part about this tour was hearing about how the company came together during Hurricane Maria. Bacardi’s other locations did food and donation drives for their coworkers in Puerto Rico. Another fun fact from the tour: did you know that moonshiners could be identified fairly easily when making rum? Palm trees trunks turned black from byproduct contamination. If you plan to make moonshine rum, make sure there are no palms nearby. They give it away! This experience is not kid friendly; therefore, it is best for those traveling with only adults in their party. 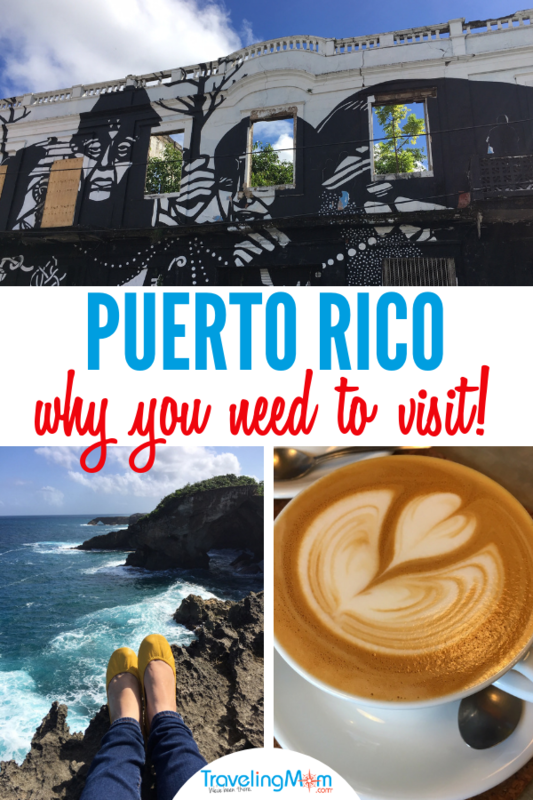 If you’re looking for kid-friendly ideas for Puerto Rico head here! Yes!!! Love this post, couldn’t agree more. Forgotten gem! We are going as a family of 7 later this year for three weeks! Great tips, thank you so much for sharing ?